Looking to tweet on your last bet? Making sure you use the correct hashtag is important to guarantee an all round win! 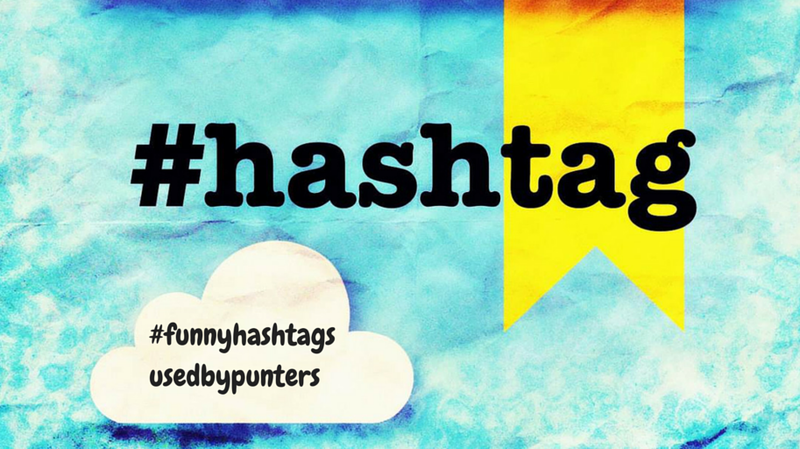 Here are some of the most used betting hashtags and when to use them. Call out your followers to let them know you are at the track, and ready for business. This tweet conveys the excitement of just having arrived, before the races have even begun. Next step: grab your program and plan your bets. Here is one betting hashtag that would work great as a motivational headline as well. You can tweet this after having just completed your bet, or before the event you bet on is about to begin. Just remember to follow that up with some more tweets so your followers can keep up with the action! Celebrate that big win with an even bigger claim: #BookieBashing gives all that hard earned win power to an accompanying selfie or shot of your winning betting slip. Beware: it's ok to get cocky on winning with big odds, NOT if you bet on a sure thing. Whenever you win something, it just feels wonderful to let everyone know about the great news. So, keep your options open, place bets here and there to make sure you win more, then tell the world that being victorious is plain sailing. A hashtag like #easymoney is the way to do it. Betting hashtags are meant to provide subjects that are of interest for us, but it is crucial to use them in the right context. Otherwise, they're pointless. You will only disappoint people who click to read your posts. Since you are already on Twitter, share this article with your followers by clicking this link.